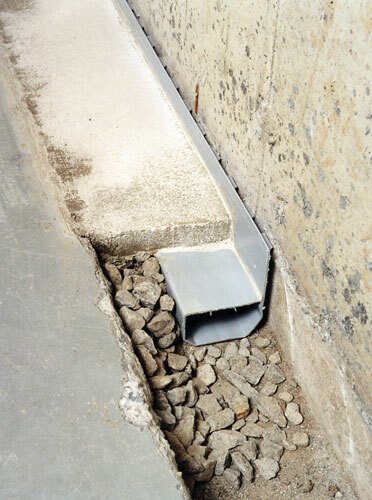 WaterGuard® is a patented, award-winning basement drain system that's installed in a bed of clean stone on top of the foundation footing. 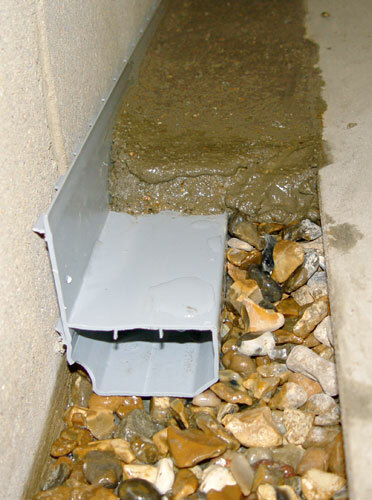 This keeps the drain out of the "mud zone", where clogging of drain systems is common. Large drainage openings and a unique shape also aid in clog resistance. Waterguard is our most widely used drain system -- popular because of its resistance to clogging, its service ports, and its ability to also collect water from the basement walls. Designed Not To Clog - Out Of "Mud Zone"
Our basement drain systems are a great way to transform your basement into dry, usable space -- warrantied! Our dealers typically install a complete drain system in less than two days. 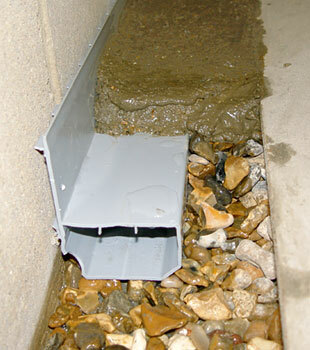 To schedule your free basement drain installation quote, contact us by phone or e-mail today! 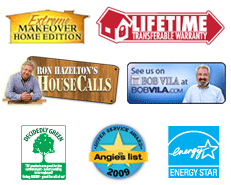 Our experts proudly serve throughout Canada, the United States, and the United Kingdom. 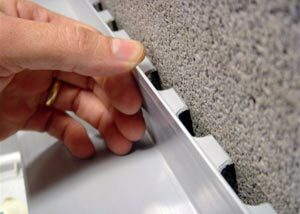 The WaterGuard® Drain System is installed with a built-in wall flange that extends up your basement wall by 3/8". This allows your system to collect water from the walls -- without picking up debris from your basement floor that would potentially clog your system. Flooding water can emerge from many points in the basement wall -- including from wall cracks, pipe penetrations, and basement windows. 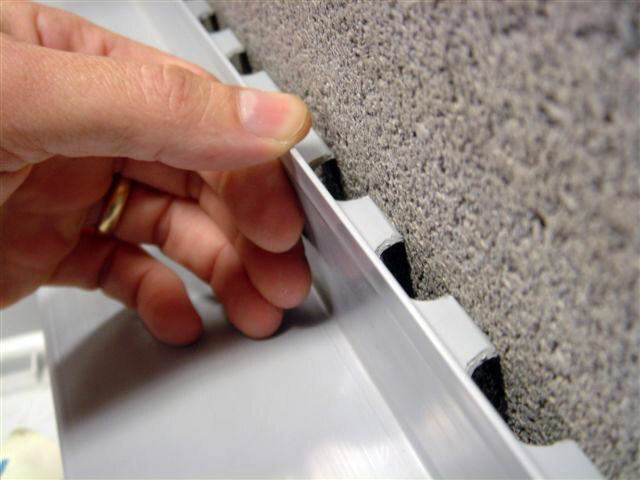 We have many products that will collect this water from the walls, including our FlexiSpan®™ Wall Crack System, and our WellDuct® Window Drain. Water collected by these systems is then drained down to your WaterGuard® System. If you have concrete block foundation walls, water can also build up in the empty cavity of each block, where it eventually seeps into your home. 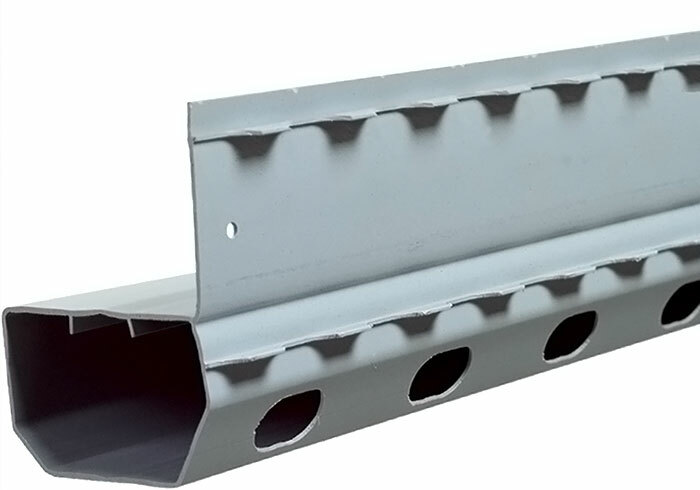 The wall flange that extends upwards on our WaterGuard® system can be used to drain water building up within block walls. 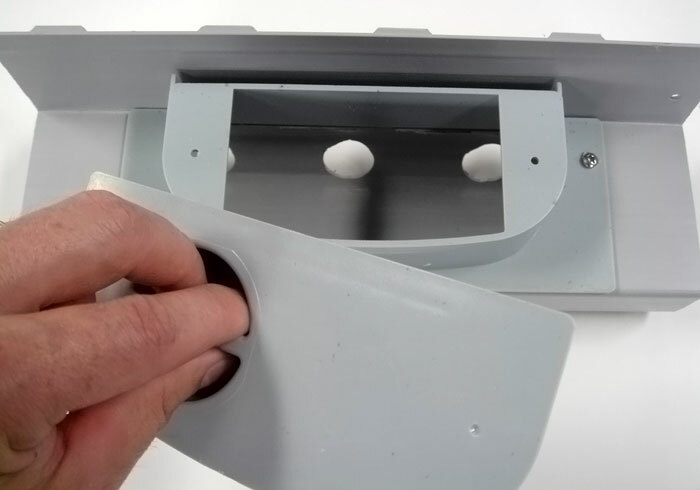 To accomplish this, we drill "weep holes" in each block, which releases the water against the flange and into your WaterGuard® System. We Can Install A warrantied Drain System In Your Home! Old-fashioned drain systems are labor-intensive to install, require an open gap along your floor, and are prone to clogging with mud. Our patented WaterGuard® System is the result of more than two decades of research and development by the world's largest network of waterproofers -- and is backed by a lifetime transferable written warranty! For more information about having a authorized Basement Systems Dealer install our warrantied system in your home, contact us today for a free basement waterproofing quote! We'll get you in touch with your local dealer, who will visit your home to measure the basement, answer your solutions, and provide a customized solution and written cost quote. They'll also mail along a complimentary copy of our full-color waterproofing book, which is packed with information about basement waterproofing, as well as our products and services. If you're a homeowner living in Canada, the United States, Ireland, or the United Kingdom, there's a locally owned and operated Basement Systems Dealer operating near you!